Did you know that one of the most common way drug dealers find new clients nowadays is through social media? Facebook and Instagram aren’t all sunshine and rainbows. In fact, Instagram has still been very lax in cracking down on drug-related posts. Mark Zuckerberg, CEO of Facebook, along with his company recently began the crackdown on these opioid-related posts. Instagram, who is also owned by Facebook, has been one of the largest purveyors of illegal substances. Zuckerberg (and Facebook proper), have been recently notorious for saying they will do something about problems or issues, apologizing, but NOT taking responsibility, then doing nothing. Overdose deaths due to substance abuse has continued to increase. If we go back less than 10 years, to 2010, there were 21,089 deaths across the nation. It doubled to 42,249 in 2016. Now, after 2017, which saw numbers reach over 70,000 fatalities according to numbers from the Centers for Disease Control and Prevention, we could be looking at numbers nearing 80,000 for 2018. A large amount of this credit has to be put on Fentanyl, where the deaths rates in only 2013 were around 3,000 overdose deaths, now hover around 28,000. Before we dive in to how illicit substances, especially Fentanyl, have become widely sold over social networking sites, especially that of Instagram, what is Fentanyl and where did it come from? 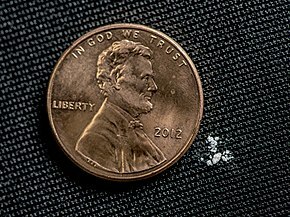 Fentanyl, to explain it as straightforward as possible, is a synthetic opioid that is 80-100 times stronger than morphine. Its primary use was in pain management, for people with severe pain like cancer patients. Due to its short-term high and euphoric brain reaction causation, the drug has been, more and more often, cut with heroin. Dealers will frequently add Fentanyl to heroin, increasing its potency, while saving money on the heroin, instead opting for the cheaper, more intense Fentanyl. Taking less than 5 minutes to reach your blood stream and your brain, the euphoria is almost instantaneous. And due to its quick half-life, the end-users are left desiring more. Plus, when cut with heroin, it combines the two drugs to produce a brand new high. The issue that these victims of overdose are encountering is that they are shooting heroin that contains more Fentanyl than either their body can handle or more than any body can handle. It is said that 2mg of Fentanyl is a lethal dose. It is also the way Prince died, same with Tom Petty’s death, as well as the death of Mac Miller. Should I go on? So there’s Fentanyl - extremely dangerous and deadly. Now let’s move on to the main idea behind this post: What Instagram is, or isn’t, doing. Instagram FINALLY decided to start removing/blocking some posts containing specific hashtags. There was, no joke, the hashtag #XanaxForSale floating around Instagram. Sellers weren’t even trying to be discrete. As this crackdown happened, dealers just shifted their hashtags oh-so slightly to those that were unblocked. It became #XanaxLife and #Oxycontins. Again, creative, right? Not really. But they didn’t need to be creative! It was just that easy for them. It’s like posting an advertisement in the local newspaper for drugs, and rarely ever getting caught. When we analyze Instagram, and especially Facebook’s, recent crackdown of speech and rhetoric, it was a huge surprise to see that they didn’t take the time to enforce their drug hashtags. Although I believe that part of the poor timing is due to the face that Facebook has been pretty swamped with Congressional Hearings regarding Russia placing advertising on the webpages to influence elections, they have a large enough company that it shouldn’t make a difference. When you think about it though, this issue that over 70,000 people are overdosing on drugs each year, should be of paramount importance to Facebook and Instagram. Are you listening, Zuckerberg?!?! The majority, 80% worth, of the United State’s Fentanyl is currently be routed from Mexico through San Diego, California before dispersing throughout the U.S., thanks to the Sinaloa Cartel. Another big push is through Texas, although San Diego has been universally the popular route. From San Diego, CA, the drug is in the perfect location. At the base of Interstate-5, which runs from Chula Vista, which sits right at the US-Mexico border, and runs through San Diego, Los Angeles, Sacramento (and only a short jump to the bay-area), Salem, Portland, Tacoma, Olympia, Seattle, and onward to Vancouver, British Columbia, Canada. Traffickers can also take Interstate-10 to El Paso, TX, then before long, you reach Eastern Texas. Texas is an ideal location for drugs, with the perfect highways going north to Chicago, or northeast to the Baltimore, New York, Boston, Washington DC areas, or that can simply stay east, making their way to Atlanta and Florida, and ultimately, the notorious I-95. This goes for weapons as well, as they hit the I-95, also denoted the “Iron Pipeline” by the ATF, and the connecting highways. From there, they hit all of the metropolitan cities on the east coast where they are used to kill gang members, children, innocent bystanders, and police. The Iron Pipeline southern-most point is Miami, then runs directly up the east coast, hitting Washington DC, Baltimore, New York City, Philadelphia, and again, all the way through the northern-most state, Maine, and into Canada. The cartel, or drug runners, have also been branching off in southern New York, and taking I-87 through Albany, NY up to Canada where they reach Montreal. From there, it’s a short trip west to Ottawa or east to Montreal City. So the important question - how to we deal with this drug problem? I think we can all agree that the War on Drugs of the Nixon-era didn’t work, right? Even though Nixon said, in a press conference, that drugs are "public enemy number one", he is partially right, but as a fix, the War on Drugs was a complete disaster. First, it quadrupled the prison population. I always find it interesting when people who agreed with the War on Drugs are upset when a violent offender gets released from prison on bail within 24 hours. It’s because the prisons are full of non-violent offenders who are serving lengthy or even life sentences. And these prisons weren’t just full of every age and race, it was and is disproportionally comprised of minorities. It became a prisons-for-profit that cost taxpayers close to a trillion dollars. “Well, what about the violence of the drug trade?” Good question! Yes, drug trafficking is inherently violent. Why? It’s drug prohibition. People were quite violent during the alcohol prohibition. Let’s take a different legal drug…nicotine. Have you seen nicotine CEO’s shooting each other in the streets? No, you have not. I think there is a good reason that makes sense to me. The CEO of Marlboro, Clifford B. Fleet, is an incredibly rich, white male and his product is legal. And don’t for a second think I’m saying that the head boss of the Sinaloa Cartel isn’t rich, but he isn’t white, and he deals with illegal drugs.. Same with the majority of those arrested in the War on Drugs. As the amazing fiction author Don Winslow put it, “The War on Drugs has largely been a war on people of color.” If (some of) these drugs were legalized, it would push the cartel back into Mexico. I can hear it already. “But then it will flood the streets and users won’t try to stop?” Yeah, maybe, but they aren’t trying to stop now. Take Portugal for instance. In the late 1990s, the country was plagued by addiction, the HIV crisis was soaring, and the prisons were packed. Sound familiar? Well, the made some changes. They decriminalized it. Now keep in mind, decriminalization is not legalization. Drug offenders may still be penalized, but the idea is to redirect enforcement resources and prevent flooding prisons with non-violent offenders. Drugs are still illegal there, but anyone carrying less than 10 days’ worth of illicit substances will have their supply confiscated. They get an assessment with a social worker, psychologist, and lawyer. Their consequences usually range from a few days’ worth of community service to a ban on visiting venues in which the person is known to purchase or obtain or use drugs. Even high-risk patients can receive an invitation to undergo treatment. Rehab is voluntary in all but exceptional situations. Drug use among adolescents (13-15 yrs) and "problematic" users declined. The number of drug related deaths has reduced from 131 in 2001 to 20 in 2008. As of 2012, Portugal's drug death toll sat at 3 per million, in comparison to the EU average of 17.3 per million. Maybe if we at least attempted to adopt something similar, we may see some changes. Another factor in this so-called new “War on Drugs” is that African-Americans make substantially less than white males. According to The Economist, “…Much of this difference is due to mass incarceration.” Along with this, it is proven that there is a direct link between poverty and prison, which isn’t surprising. If I was flat broke, I might be tempted to steal food, or to deal drugs to make some money to feed myself or my family. Along with poverty comes either homelessness or living in some of the worst buildings, flophouses, and locations in the country. A wall doesn’t stop tunnels, last I checked. Even if you agree with the wall, didn’t Trump say Mexico was going to pay for it? That was the crux of his election campaign. Now, he’s asking for $5 billion dollars to fund the wall, or he will shut down the government. Did I miss something? Regardless of where you sit on the political aisle, does this make sense to you? Even though I’m not sure why I’m surprised. When was the last time a President made a campaign promise and actually follow through with it? They’ll say whatever gets them elected. Alright, I think I deviated far enough away from the drug problem. I just hope I made my point clear, that the people doing drugs should not be our enemy. They’re our fellow citizens, fellow human beings, and they deserve assistance. Step off of the pedestal for a few minutes to think about how difficult life would be addiction to a substance. Many people say that they don’t want their tax money to go to building homeless shelters or actually housing addicts for them to go through rehabilitation. If you’re one of these people, I sincerely am curious at your proposed solution? Leave them in the streets craving drugs, hustling for quarters, while we step over them on our way to where we want to go? Because then people complain that there are too many homeless on their streets. Again, regardless of where your politics fall, in the final days of Obama’s Administration, we started to see a gravitation to a more sensible drug policy, which allows clemency for nonviolent offenders serving these incredibly long prison terms, a push to end mandatory minimum prison sentences, a less aggressive stance on the enforcing of the marijuana laws, which former Attorney General Jeff Sessions tried desperately to dismantle, and the abolition of prison privatization on the federal level. As you can see, I am very passionate about this country’s current drug problem. People are overdosing everyday, in every town, and it’s about time we recognized this problem and attempted to come to some sort of resolution. Facebook (and their company Instagram) are becoming a big issue when it comes to drug trafficking. With big money comes drugs. Either Facebook needs to crackdown on their drug trafficking posts on both companies, or we will only see this issue get worse. Also, their inability to help mitigate fake profiles is astounding, and this should definitely not be the case for a business of this size. Facebook, because of its size, should feel obligated to do so. This goes for Instagram as well. Unfortunately, for all of us who actually think this is problematic, Facebook is public traded. This means that it’s number one obligation is to its shareholders. That’s it - make money. On the bright side, with all of Facebooks shortcomings, especially as of late, we have start to see their stock begin to drop, as Facebook has been sharing more of our data with third-party companies. Just like how they gave user’s private Facebook messages to Netflix and Spotify, even though Mark Zuckerberg claims that it was done with user consent. We’ve been zucked again. I only pray that this will make them realize the disaster they have become. Their lack of transparency over their entire existence has been abysmal. Take for instance their Facebook iOS application updates. They just use the same template for every update description. I’ve been contemplating deleting my Facebook for some time. I’m tired of my data being sold, their complete and utter lack of any kind of monitoring of enforcement. Add in their nonexistent transparency with what is being done with user data. they’re about to become the open-source Equifax. If things don’t change in the ensuing months, I will most likely be calling it quits ✌️.